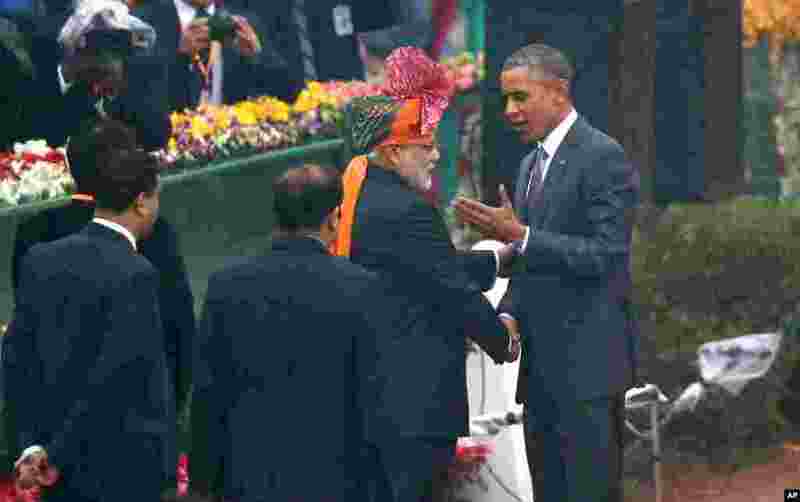 1 President Barack Obama shakes hand with Indian Prime Minister Narendra Modi as he arrives to preside over India’s annual Republic Day parade in New Delhi, India, Monday, Jan. 26, 2015. 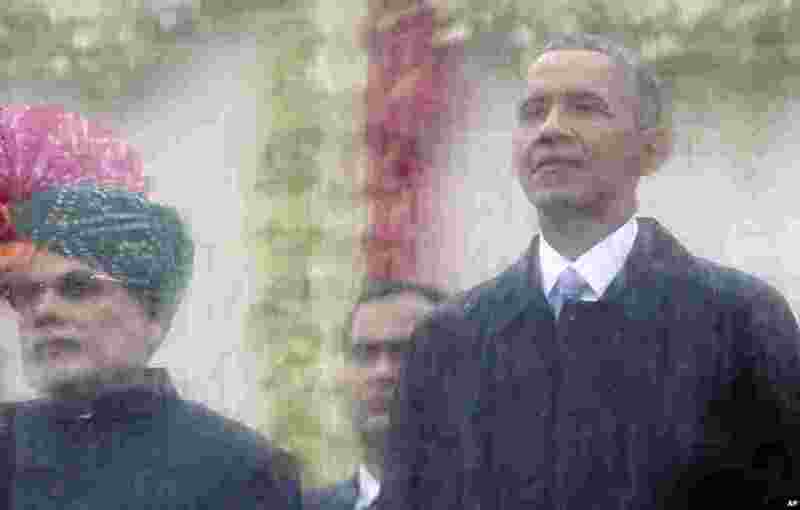 2 Indian Prime Minister Narendra Modi, left, and U.S. President Barack Obama, right, look out behind a rain covered protective glass to watch the Republic Day Parade in New Delhi, India, Jan. 26, 2015. 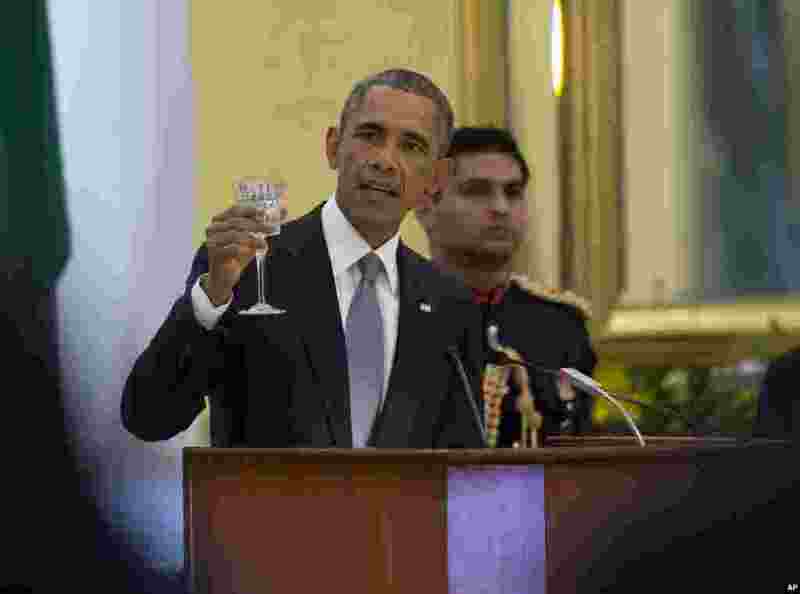 3 President Barack Obama makes a toast druing a State Dinner hosted by Indian President Pranab Mukherjee at the Rashtrapati Bhavan, the presidential palace, in New Delhi, Jan. 25, 2015. 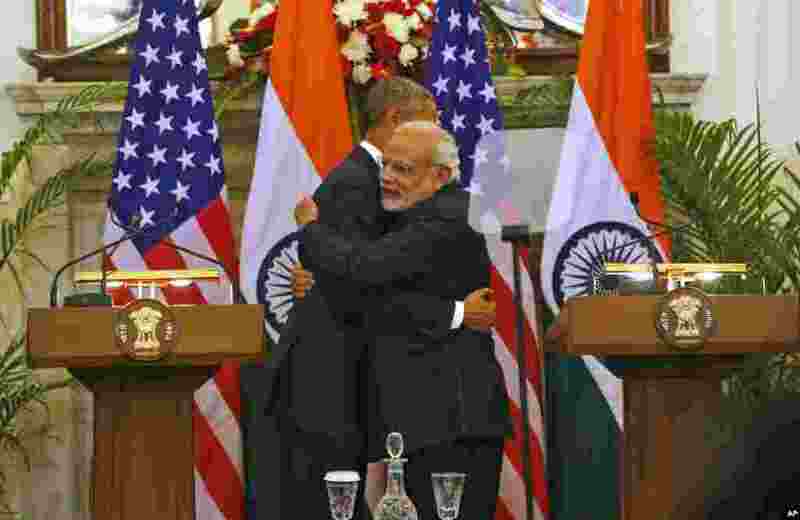 4 U.S. President Barack Obama and Indian Prime Minister Narendra Modi hug after they jointly addressed the media after their talks in New Delhi, India, Jan. 25, 2015.